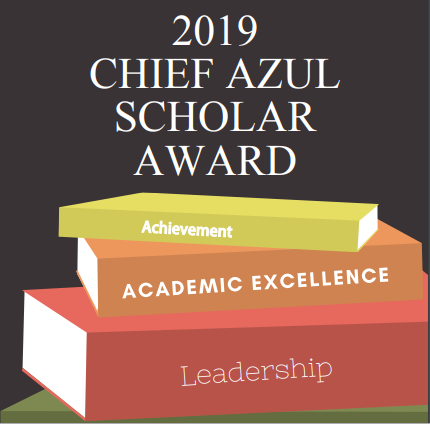 We asked our Skyline Gila River Science Teacher a few questions about his recently published research article in the Public Library of Science – Neglected Tropical Diseases this past February. 1) How long did it take you and your colleagues from start to finish for the research? The research was to investigate proteins produced by the bacterium, Burkholderia pseudomallei, during infection that can be used to detect the disease in a patient. The bacteria are found in soil and can cause pneumonia and sepsis. The bacterium commonly infects the lungs and then spreads to other organs in the body. The bacterium is also considered as a biothreat by the Centers for Disease Control and Prevention. The research study took over 3 years. 2) What sparked your interest to lead you to do this study? My interest in this study was the potential to save human life by developing a rapid diagnostic test(s). There are currently no rapid methods to detect that a patient is infected by this bacterium. A current method of detection takes a minimum of 24-48 hours, making it too slow to guide early treatment. This bacterium also has a high mortality rate and is inherently resistant to most antibiotics. It is therefore necessary to develop a rapid diagnostic test(s) for early detection to allow early treatment of patients. The bacterium, B. pseudomallei, causes a disease called melioidosis, that results in severe disseminated or localized infections. In this study, we looked at the antibody response to the bacteria proteins in a goat model infected with bacteria to understand the proteins expressed by the bacteria during infection. To study the antibody responses, total whole cell proteins were identified and analyzed. Antigenic carbohydrates were also studied. 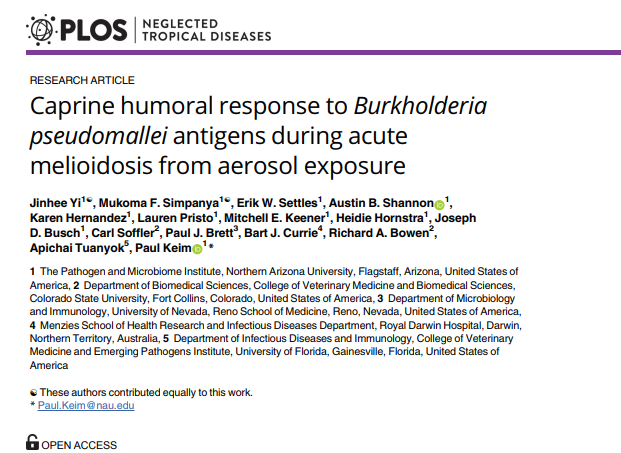 Results of this study suggest that the goat antibody immune response to an aerosol of this bacterium has similarities to human disease of melioidosis and may facilitate the analysis of a time-based antibody response test(s). Proteins detected to produce an antibody response may be used as biomarkers for the future point of care (POC) diagnostics. Click here to access the full published article.